OLED TVs are available from all the big High Street names at the time of writing. 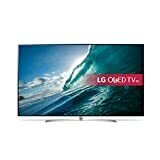 John Lewis and Currys both have large ranges of OLED TVs from LG, which is widely regarded as the market leader for this type of TV. OLED TVs have only been around for a couple of years but industry specialists are wondering if they could be the future of TV for many people. These TVs tend to look more like flat screens for computers, with sharp, high quality pictures and a slim design that won’t dominate the room. The advantage of OLED over other current TV technology is that it is very efficient and more environmentally friendly than others. 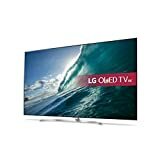 The O in OLED stands for Organic (Light Emitting Diode) and this technology would appeal to those buyers who would like to have a decent TV but are also concerned about environmental impact and power consumption. OLED TVs are not cheap, with average prices presently hovering at around £2,500, but the benefits are clear. Quite literally. Because the OLED pixels work when an electrical current is passed through them rather than needing a backlight, the TVs using this technology can be lighter and thinner than LCD-based screens. The four-colour pixel technology used in OLED TVs gives a brighter picture and allows a wide viewing angle to boot – great for groups all watching the same thing intently from around the room. Some of the more recent launches have featured curved screens, which does mean they can’t be hung on a wall, and may also affect the viewing clarity from some positions. At least one LG model features 4K compatibility, which means that owners of something like an Nvidia Shield tablet can stream their games in amazing depth of resolution. Not quite VR, but not far off it. Several current models are also 3D compatible, which increases the depth of experience for gamers and watchers alike. There is no doubt that LG is the current market leader in OLED TVs, but Samsung and Haier also have an interest in this area of the market. 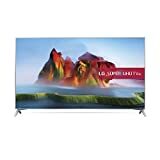 4K technology matches well with the high picture quality of OLED screens, and many models available at present are 4K compliant if not actually 4K TVs. Admittedly, the 4K technology will add another £2,000 to the price of the unit, but if having a top notch TV is important, then an OLED screen is a distinct possibility. As several other reviewers have remarked, OLED panel screen technology is still rather new, and it may be better to hold off awhile before buying if money is still tight, as these TVs are not as cheap as other alternatives on the market. But if money is no barrier, and cutting edge technology is a priority, then an OLED TV, known for picture quality and slimline design, could be a worthwhile option.